It’s hard to believe that the Stumptown Cross season is more than half-way over. But before I make you all sad that the glass is half empty, perhaps it’s time to focus on the fact that the best is yet to come. Two of my favorite races of the season are still on their way – Pier Park and Fernhill Park are both fantastic places for racing XC. And on top of that, the final two races of the Stumptown series also serve as the USATF championship events for the state and region. The Pier Park races on November 4 will be the USATF Oregon state association championship. That means that USATF members competing in this event will be eligible for the open and masters medals that will be awarded for the top 3 in the open (<40 years old) and masters (>40 years) divisions for both men and women. 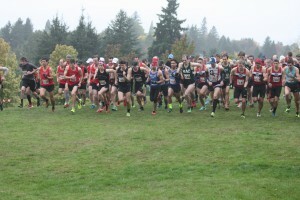 Awards will be distributed in those same divisions for the Pacific Northwest regional championship race, which will be contested at Fernhill Park on November 18. Participants in both of those races do not need to be USATF members to compete in the standard Stumptown event. 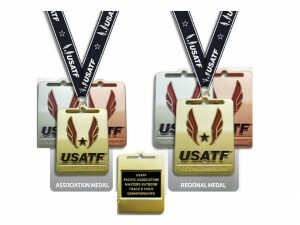 But, if you think you or your team have a shot at winning an individual or team title for USATF, you should make sure your USATF membership is current before the race. We will score the race the same way as usual – the Stumptown scoring – as well as also scoring individuals and teams who are USATF members. When you signed up for Stumptown, there was a field for you to indicate whether you were a USATF member – so we should have that info if you entered it at registration. But we can verify for you, or update the results after the race if we are missing that info currently. You can check the status of your USATF membership, or join by clicking on this link. If you joined or renewed your USATF membership after registering for the Stumptown series, you can go to the RunSignUp page, log in (link at the top of page), and then under Manage Your Race you should be able to add your number (as well as join a team, if you aren’t already on one). A representative from USATF will also be available in case you need to renew your membership on-site. Teams that win the state association event (note: must be USATF members at the race) are eligible for the travel grant that USATF offers. This is a grant for $500 per club, so not a given – but could be an option for off-setting some travel expenses. You can read the eligibility criteria here. Note that at the regional championship race (Fernhill on November 18), we will be using USATF team scoring rules for the standings. “Ties between two or more teams shall be resolved in favor of the team whose last scoring member finishes nearer to first place.” Current Stumptown scoring uses the 5th runner’s place (or if both teams have 4 runners, the 4th runner place) to break the tie. 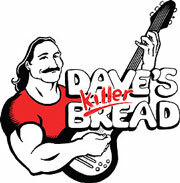 If a complete team plans to go, the club will provide up to $500 for team lodging per gender. There are more specific details on team selection and how any grant funds might be dispersed for Team Red Lizard members, so if you are thinking a trip to nationals is something you are interested in, contact Torrey or Raghav for more information.